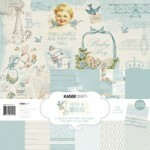 Kaisercraft 12x12 double sided paper Bambino from the Peek-a-Boo collection ..
Kaisercraft 12x12 double sided paper Bundle from the Peek-a-Boo collection ..
Kaisercraft 12x12 double sided paper Cherub from the Peek-a-Boo collection ..
Kaisercraft 12x12 double sided paper Infant from the Peek-a-Boo collection ..
Kaisercraft 12x12 double sided paper Kid from the Peek-a-Boo collection ..
Kaisercraft 12x12 double sided paper New Arrival from the Peek-a-Boo collection ..
Kaisercraft 12x12 specialty gloss paper Our Baby Boy from the Peek-a-Boo collection ..
Kaisercraft gloss specialty paper Our Baby Girl from the Peek-a-Boo collection ..
Kaisercraft 6.5"x6.5" paper pad from the Peek-a-Boo collection. 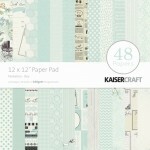 12 sheets of designed paper..
Kasiercraft 12x 12 paper pack from the Peek-a-Boo collection. 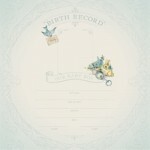 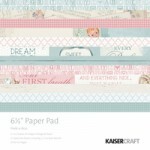 Each pack contain 6 patterned..
Kaisercraft 12x12 Boy paper pad from the Peek-a-Boo collection. 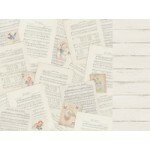 48 sheets, 24 designs, sing..
Kaisercraft clear stamps from the Peek-a-Boo collection ..
Kaisercraft Girl 12x12 paper pack from the Peek-a-Boo collection. 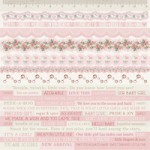 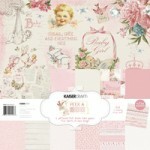 Contains 6 patterned 12x1..
Kaisercraft 12x12 paper pad Girl from the Peek-a-Boo collection. 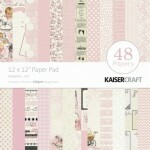 48 sheets, 24 designs, single si..
Kiasercraft Girl sticker sheet from the Peek-a-Boo collection ..
Kaisercraft 12x12 double sided paper Precious from the Peek-a-Boo collection ..
Kaisercraft 12x12 double sided paper Tiny Tot from the Peek-a-Boo collection ..
Kaisercraft 12x12 double sided paper Young One from the Peek-a-Boo collection ..